A one-stop fashion destination for online shopping for both men and women, Koovs is the go-to place for all your wardrobe needs. Shop at the cool new Koovs fashion shopping app to avail over 100 premium brands and our trend-based private label, as we launch over 150 new products every week. Now shop swiftly and smoothly on the go at the Koovs online fashion shopping app. At our iOs store, we have everything from trendy clothing to glittering jewellery, stylish footwear and much more. With this app you get an easy access to a world of fashion that you always wanted. 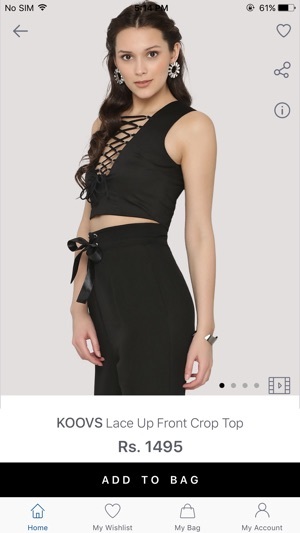 The features that you always loved at Koovs just got bigger and better. 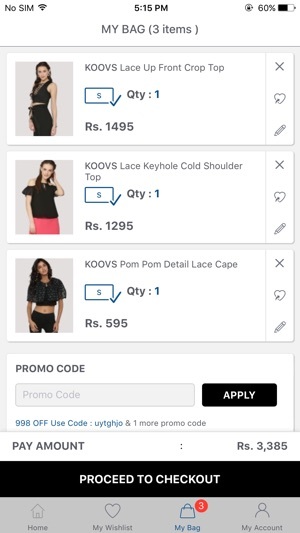 Download the Koovs app today to enjoy its many benefits. Now, the hottest deals and exclusive discounts are just round the corner. With online fashion shopping at Koovs an experience with a difference is always guaranteed since shoppers get to choose from a range that is ‘Designed in London, and Made for India’. So get started today. Take this never-seen-before world of fashion everywhere you go with the mobile app! 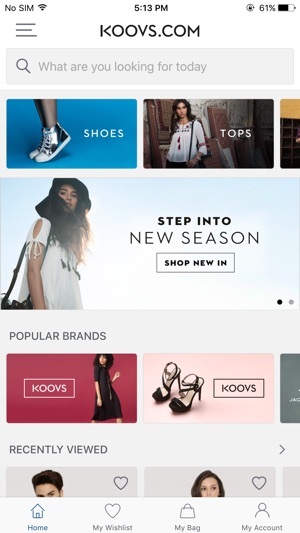 Koovs has always been the gateway to international runway trends, and with the app it gets even better! 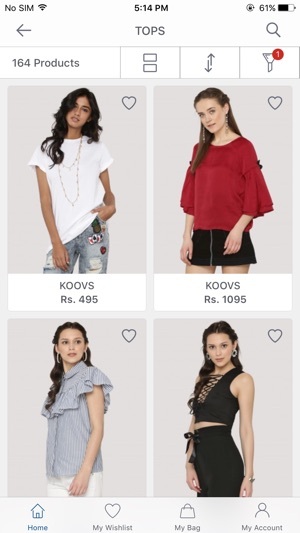 Courtesy Koovs online fashion shopping app, women can now have latest fashion trends, tips and news at their fingertips. You can shop for western wear, bags, shoes, watches and much more from top labels. Online shopping India cannot be complete without making a selection out of this priceless selection for men. Say goodbye to monotony and shop for fashionable clothing, accessories, bags, wallets, sunglasses, watches and much more for men here! Shop on the go for an exhaustive selection of womenswear, menswear, accessories, jewellery and more from premium labels available exclusively at Koovs. Get the best in fashion from London and India. You can also avail our private label collection, designed in London and made for you. Look up products by category, colour, new arrivals, occasions, brands, size or price. The completely verified product attributes will also help you to make the right decision. Enjoy a quick and easy checkout, and buy your favourite items in a matter of minutes. Orders are delivered all across the country within 3-5 working days. 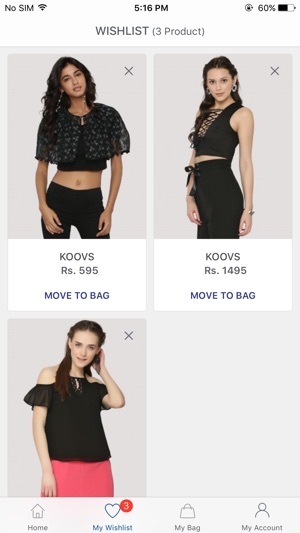 Choose between cash on delivery or credit/debit card payment methods at Koovs online fashion shopping App. Go for our easy return/exchange policy if you change your mind. Checkout our signature catwalk videos to see the fit and cut of your favourite pieces. Get an exclusive peek into our trend-based features. Know what’s hot and see what the celebs are wearing. Get information on sales and promotion details and be updated on the hottest deals. More user friendly app ,easy to shopping . One Special things ,this app also provide video catalogue so that buyer can see a product in detail.